Home » Foreign Service Career , FSO , FSOT , FSS » Are Foreign Service Specialists Diplomats? May 1, 2015 is Foreign Affairs Day, so this post will address one of the most frequently asked questions by applicants to the US Foreign Service: "Are Foreign Service Specialists considered diplomats?" Why? Well, not a lot of folks are familiar with who Foreign Service Specialists are or what they do. Also, the term "diplomat" carries a certain cachet, so there will be detractors, critics, and sticklers for the proper application of the term. What is the definition of a diplomat? Which begs the question: What is diplomacy? What is the US Foreign Service and who is in it? What's the difference between diplomatic corps, diplomatic service, diplomatic status, diplomatic rank, and diplomatic title? The Rogers Act of 1924 merged the diplomatic and consular services of the government into the Foreign Service. An extremely difficult Foreign Service examination was also implemented to recruit the most outstanding Americans, along with a merit-based system of promotions. The Foreign Service Act of 1946 was passed by Congress at the request of the Department of State to create six classes of employees: chiefs of mission, Foreign Service Officers, Foreign Service Reservists, Foreign Service Staff, "alien personnel" (subsequently renamed Foreign Service Nationals and later Locally Engaged staff), and consular agents. It also added the "Up-or-Out" promotion system. The Foreign Service Act of 1980 abolished the Foreign Service Reserve category of officers, and reformed the personnel system for non-diplomatic locally employed staff of overseas missions (Foreign Service Nationals). It created a Senior Foreign Service with a rank structure equivalent to general and flag officers of the armed forces and to the Senior Executive Service. It also authorizes other U.S. government agencies besides the Department of State to use the personnel system for positions that require service abroad. These include the Department of Commerce (Foreign Commercial Service), the Department of Agriculture (specifically the Foreign Agricultural Service, though the Secretary of Agriculture has also authorized the Animal and Plant Health Inspection Service to use it as well), and the United States Agency for International Development (USAID). Within the State Department, how are the people classified? (1) Chiefs of mission, appointed under section 3942 (a)(1) of this title or assigned under section 3982 (c) of this title. (2) Ambassadors at large, appointed under section 3942 (a)(1) of this title. (3) Members of the Senior Foreign Service (SFS), appointed under section 3942 (a)(1) or 3943 of this title, who are the corps of leaders and experts for the management of the Service and the performance of its functions. (4) Foreign Service Officers (FSO), appointed under section 3942 (a)(1) of this title, who have general responsibility for carrying out the functions of the Service. (5) Foreign Service personnel (FSS), United States citizens appointed under section 3943 of this title, who provide skills and services required for effective performance by the Service. (6) Foreign national employees, foreign nationals appointed under section 3943 of this title, who provide clerical, administrative, technical, fiscal, and other support at Foreign Service posts abroad. (7) Consular agents, appointed under section 3943 of this title by the Secretary of State, who provide consular and related services as authorized by the Secretary of State at specified locations abroad where no Foreign Service posts are situated. Remember what I said earlier about "appointed" and "diplomat"? The Foreign Service Act basically says that anyone in the Foreign Service has by definition been appointed. Foreign Service Specialists would fall into that "skills and services" descriptor of Foreign Service Personnel. Even so, we're all still appointed, but there are different routes to be appointed. Note: Not everyone who works in the State Department is in the Foreign Service. There are also other employees in the State Department, like Civil Service, Personal Service Contractors (PSC), and Third-Party contractors, but that's a topic for another day. Titles are granted under authority of Chapter 3 of the Foreign Service Act of 1980 and applied in accordance with the State Department interpretation of the Vienna Convention on Diplomatic Relations and the Vienna Convention on Consular Relations. Department regulations on titles are found at 3FAM/FAH 2430. All diplomatic and/or consular titles are authorized only for the position for which approved at the post of assignment and are not retained by the employee upon transfer from the position and/or post. Diplomatic and/or consular titles are granted to individuals who are members of the Foreign Service assigned to and resident at an established State Department diplomatic or consular post when required for execution of duties. The commissioned diplomatic titles of First, Second, and Third Secretary, Counselor, and Minister-Counselor are granted exclusively to those members of the Foreign Service who have been appointed as a Secretary in the Diplomatic Service of the United States of America. This is appointment is done through presidential nomination and Senate confirmation. Consular titles are Vice Consul, Consul,and Consul General, and are granted only to members of the Foreign Service. Department AirGram A-185 dated July 25, 1989 explained in depth the requirements on consular titles overseas. A copy is kept by the Title and Rank Officer in HR/CDA/SL/PAS. Non-commissioned diplomatic titles are Attache and Assistant Attache. These appointments are granted by the Secretary of State and do not require presidential nomination or Senate confirmation. So in practice, Specialists fall into the Attache and Assistant Attache group because of the "commissioned" requirement, if a title is assigned at all. There are lots of places that don't assign a title though, but that's a function of the host country's own recognition of diplomatic status within their own borders. And while we occupy the lowest rungs of the diplomatic hierarchy ladder, we're still on the ladder. Generalists / Generalist Officers / "Foreign Service Officers" / FSO are categorized into one of five cones, took the FSOT as part of the hiring process, and require language proficiency to receive tenure. Their first tour is often performing work in the consular cone before moving into their designated cone. They are also much more likely to end up as an Ambassador or Deputy Chief of Mission. Specialists / Specialist Officers / "Foreign Service Specialists" / FSS are categorized in one of 22 (at last count) specialties. They did not have to take the FSOT, but were hired because they already have the experience and skills to do the job. 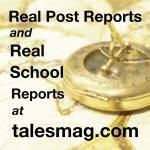 They typically do not need to have language proficiency to receive tenure. To be clear, the folks listed above are all Foreign Service Specialists, but are considered officers (typically attaches, if assigned a title) in the Diplomatic Hierarchy, and are members of the Foreign Service per the "Foreign Service Personnel" category of the Foreign Service Act. This is really getting into the intricacies of protocol (on which there is an excellent class at the Foreign Service Institute), but in "all" countries, there is some sort of diplomatic book that records when each national representative arrived in country. Why? Because whoever has been here the longest. Here's a link to the Diplomatic List for the United States. You'll see ambassadors, various consuls, and also attaches on this list. This is where that whole "Diplomatic immunity" thing comes into play. Some folks have more immunity than others based on their diplomatic status in that particular country. 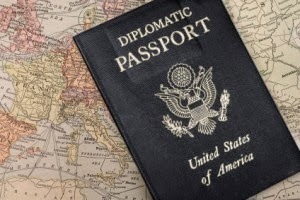 Diplomatic immunity in a particular country has no direct correlation to simply possessing a diplomatic passport, but that status is related to being on that nation's diplomatic list. So, given that there is a list, you might be wondering about how the Diplomatic Ranks are related to each other. and maybe even curious about the State Department guidelines for the Usage of Diplomatic and Consular Titles. Most of the practical stuff can be found in 3 FAH-1 H-2430 Commissions, Titles, and Rank, but that's for folks who like dredging up regulations. The links keep breaking but if you Google the titles in italics, that will get you on the trail again. "lowest rungs of the diplomatic hierarchy "
(1) Officers in the Foreign Service: The title of attaché may be accorded to Senior Foreign Service officers (or SFS career candidates), to Foreign Service officers (or FSO career candidates), and other members of the Service at classes 1 through 4. Yeah, like everything in the Foreign Service, "it depends." Thanks for the clarification. The intent was to show the relative relationship "status", but the titles might have more variation. Hi Greg, thank you for this informative post. I was wondering, do Foreign Service Specialists hold diplomatic passports?